Note the previous owner’s logo still semi-visible. On the desk, a BAIC model sits proudly. I do not have access to this site’s traffic numbers anymore, but it is no big secret that saabsunited.com probably has way less regular readers than back in its heyday. Many (all?) of the former contributors either moved on or went into hibernation following the factory’s bankruptcy. Without new content being posted on a regular basis, how can we expect to have as many readers? Though some of us remain interested in Nevs’ endeavors, there just is not much to talk about yet. That will hopefully change soon (? ), but things are what they are. My latest effort dates back two years three years. Heck, I thought it was only two years ago, but it has actually been three! RedJ was writing a post about TechROi and I tagged along as his inept photographer. TechROi is one of the many spin-offs following the bankruptcy as former Saab engineers continued developing automobile technology elsewhere. In this case, their main focus was a gasoline tank made from steel. Yes, steel. “Isn’t plastic lighter..?” It turns out that no, it isn’t! By improving the way they press the steel, the engineers managed to increase tensile strength while keeping the steel sheet relatively thin. The result is a lighter and safer design. Best looking Saab NG9-5 SportCombi, ever? We don’t really approve of car ads here at SaabsUnited, but I figure this one is worth an exception. Not only since it’s a Saab NG9-5 SportCombi (one of 33 ever made and the only one registered in Norway), but because of the awesome pictures of this car. The car in question is a Saab 9-5 2.0 TTiD4 XWD SportCombi Aero 2012, that has gone 35 000 km. It’s one of the cars that were purchased from the auctions following the Saab Automobile bankruptcy. And the asking price for this beauty is 890 000 NOK (approx €98 000 EUR). Here’s the full ad: FINN Saab 9-5. Sabotage, french sounding for “Saab otage” or Saab hostage is a short film that has been travelling to festivals for almost two years now. The idea for this film came to me while I was swapping pieces from a scrap 900 I bought to the one I was driving. Looking at the two cars, I realized they where so similar that I began reflecting on the duality of the material world. Little I knew that the duality would catch me for real sometime later. As of living in Montréal, it is a common practice to store away your convertible for winter, as I did after shooting my film. The main reason is to keep rust away. Only this time, I would never had the chance to take the beauty out again. In the spring of 2014, my Saab got vandalized by strangers, ruining all the work I had done in the fall just before shooting my film. The car was a wreck and had to go for pieces. In essence, it was a Sabotage. Since this date, I haven’t owned another Saab and don’t know if I will ever have the chance to, but at least, I will always have these images of my 900 to look at. Just a glance at this car gives me the shivers, as if feeling the sensation of driving one. Today, my little film Sabotage becomes public, where it really belongs because sharing what we love helps to relieve our pain. I wish you all the best and for those of you who still drive 900’s I say thank you because seeing one makes me grin like no other car. Meanwhile, I have the thinking on the idea of making a Saab documentary. Good whisky. Proper music. An interesting car. And solving crimes. We all know what ingredients are required for a proper detective novel of this century. Inspector Rebus taking a nap in the 9-3’s comfy seats. Rude colleague interrupting (I had a colleague like that once, she kept poking my sides during meetings. I lost countless hours of sleep because of her). Enter Ian Rankin’s character Inspector John Rebus. Rebus enjoys a good Scotch, he listens to The Rolling Stones and he drives …a Saab. No wonder then that a dear colleague (who shares my love of Saabs, but not the Stones) of mine suggested I should acquaint myself with the Inspector. The first few books start off lightly. He notices a 900 parked on a street, or a fancy 9000 parked in some politician’s driveway (“Strip Jack”), but eventually his old car packs it in and Rebus finds himself driving a Saab. The novels have been adapted to TV and two actors have so far portrayed Rebus. The first series overplayed the melancholy part a bit and the second series delayed the introduction of the Saab too long (episode 7), but the exit given to his previous car underlined the significance of switching to a proper car. Unlike Commander Bond, the transition from books to film kept the Saab (although, in “Strip Jack” the politician no longer drives a Saab). Rebus drives a OG900 in the book as well as the first TV show, and a OG9-3 in the second. All in all, the series provides lots of pleasant reading (or watching if you prefer the TV show) for Saab fans of all ages. I give it 4 griffins out of 5. The Goodmans and their 9-5. Stereo blasting at full tilt. Next, in a completely different genre, is the TV show Friday Night Dinner. The action mostly takes place in the family home of the Goodmans. Their two adult sons turn up for a family dinner every Friday, and inevitably something always goes sideways. Lots of good comedy ensues, but the head of the family drives a OG9-5. In the second episode the family tries to figure out the 9-5’s stereo (I swear I could hear Tim shouting “read the manual!” in the background) and later they performed an impromptu crash test backing into a friend’s Mercedes. It is a funny and well executed TV show, but the 9-5 clearly deserves more exposure (with regards, signed Captain Obvious). So only 3 griffins on this. 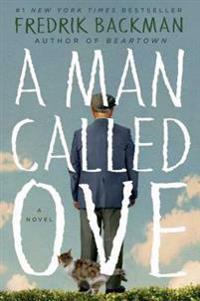 If that fails to quench your thirst for Saab-related fictional literature, I would also like to point out my earlier review of “A Man Called Ove”. The book has since been translated to several languages and does a remarkable job of exploring the psyche of an average Saab driver. A 5 griffin rated book. Not bad, considering the book’s author drives a ToyotaHyundai. Quite often I find myself on the internet aimlessly looking for anything SAAB related and often I find stuff from other people who are doing the same or I stumble across something I had forgotten. One such piece I have come across was that of the Saab Turbo 006 Convertible Junior. I remember seeing photo’s of this car on the showroom floor in my friend Darryl’s Saab dealership and never thought much of it. Finding any information on this car is not as simple as typing into a search and finding the wikipedia file, but I did find a little more on this gem. The Saab Turbo 006 was built in 1986 and was a great way of creating future Saab fans in the way of kids. This junior car is powered by a wheel motor that can turn into a 4×2 for winter driving (how cool is that? Even in a Go-kart). This according to Saab 900 Classic website who have a number of great photo’s on their site of the 006 including the one below of the 3.5hp engine. We rarely conduct book reviews here, but when a book as hilarious as “A Man Called Ove” pops up, using the word “Saab” no less than 120 times, then we probably should say a few words. The novel is penned by Swedish author Fredrik Backman, but good news everybody: An English translation is in the works! Ove, a widower at 59, is a devoted Saab owner living in Sweden. I do not see Ove as the kind of man likely to turn up at our festivals and similar, but a devoted non-turbo fan nonetheless (at one point Ove drives a 9000i). I suspect that for Ove, driving Saab comes natural and he sees little reason to celebrate this because there really is no alternative for him. The book explores Ove’s persona which his surroundings perceive as ‘bitter grumpy old man’. Ove sometimes asks himself why one is considered grumpy, just because one isn’t walking around with a fake smile plastered on his face all the time. In just over seven months time we have had a tremendous amount of your photos come in and as they come directly to me, I can tell you it is fun to see the emails as they pour in. I have seen so much more of the world through your pictures and enjoy every single picture that comes in. To say that news has been slow on the Saab front would be a massive understatement. Rather than dwell on that, I have been looking back on over 580 pictures that you have all sent in to us since December for Saab Of The Week and have found some pictures that haven’t been picked but stand out to me. There is a tab up to the right of the page here where all the photos are stored called SOTW and you can view and comment on photos there as well as our Facebook page. These are some of the photos that stood out to me and I hope you enjoy them as much as I did when they came in. It is truly something special to see these cars from around the globe in their owners home countries and stresses even more so the importance of Saab moving forward as a global brand. What If Saab Had Designed Furniture? This is a video of a design created by Joel Hesselgren titled “If SAAB Would Do A Furniture” and was a design study of the aesthetics of SAAB at Beckmans School of Art. The video is from 2007 so I am sure many have seen it but it is worth a second or third look. It always blows me away to see this kind of stuff. The practicality and the art combined, so much to what SAAB is to most of us. In a world where many cars and products start to look more and more like each other, boredom can set it (at least for me). I hope to see once again a company that can look outside the box and design in ways that makes you “Move Your Mind”. Look at these chairs that become a coffee table when put together. Why would you need that? Why not? I can think of many times in my own home where seating becomes an issue and here is a solution to add two more chairs by sliding the table apart. I can think of many times in the past where SAAB designers would have been asked the same questions and I hope in the future those answers will be the same, why not?